Location: From the intersection of County Hwys N & K in Star Lake, continue west on County Hwy K with various trail access points. 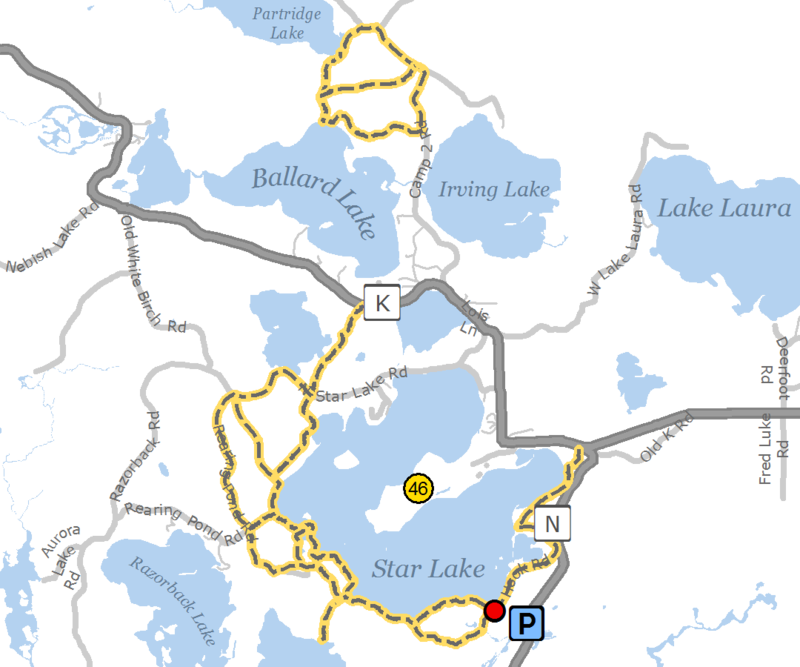 Various trails around the Sayner/Star Lake area. In the winter, some of these trails intersect with the snowmobile trail.